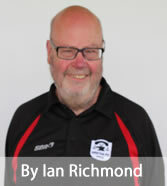 It took only 2 minutes before Gretna tested the Threave keeper to set the scheme for the game. It would be unfair to say there was only one team in it because Threave stuck manfully to their task. But Gretna’s failing was to miss increasing their margin while Threave’s was to get on the score sheet. The first goal duly arrived after sustained Gretna pressure. Anderson crossed from the right, Addison dummied and Longcake was on hand to put it away. 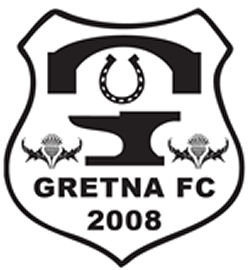 Despite continued pressure by Gretna the first half finished 1-0 to the homesters. The second half started as the first had ended. After only 4 minutes a Danny Graham diagonal ball found the head of Anderson who looped the ball into the Threave goal, 2-0. Anderson spurned chances to increase his goal tally on a night when he could have had 4 or 5 but it took Dean Rea with one of his renowned free kicks to settle the match once and for all 3-0.